Designer note: I like to wear this tunic or maxi t-shirt with pockets over a legging and combine it with an edgy ankle boot. And to finish the look I like to ad a nice scarf. 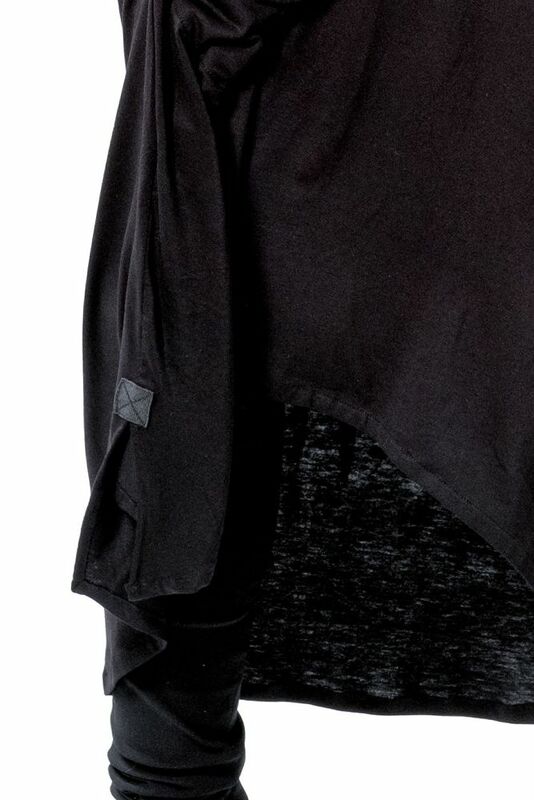 Did we mention that this tunic has pockets? 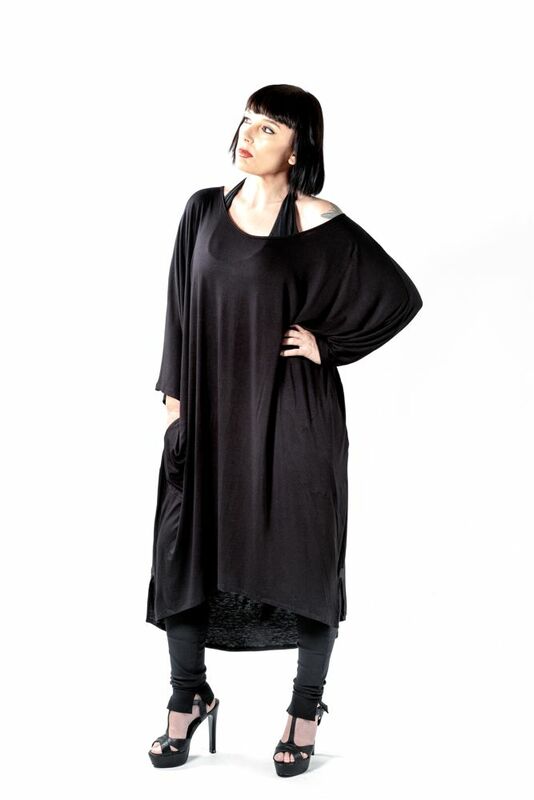 This tunic is made of a lightweight 95% rayon 5% lycra stretch fabric. Machine wash at 40 degrees. Cool ironing is allowed but we advise to hang to dry. Cool in the dryer. Pictured is a one size. This means that this specific design is suitable for everyone with a size between small and 2xlarge. 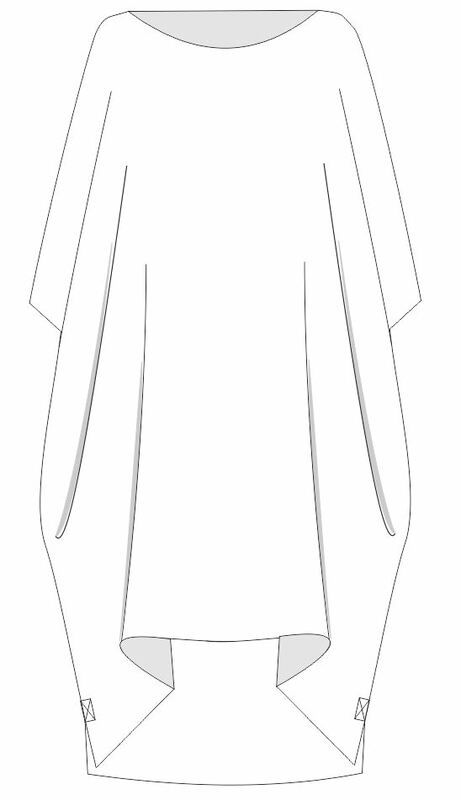 The tunic is 120 cm long and the neckline is wide and can slide off your shoulder while wearing. It is purposefully designed this way.